The 1st Annual Pocatello Pickleball Palooza took place today. We helped create this event but it was ALL about Susun's hand surgery that made it happen. We sent Shelton a congrats note and he replied: "John, I think it went really well. Had a lot of great feedback and a some good pointers for next year. Excited to make this thing grow. Thanks for all your help and support. 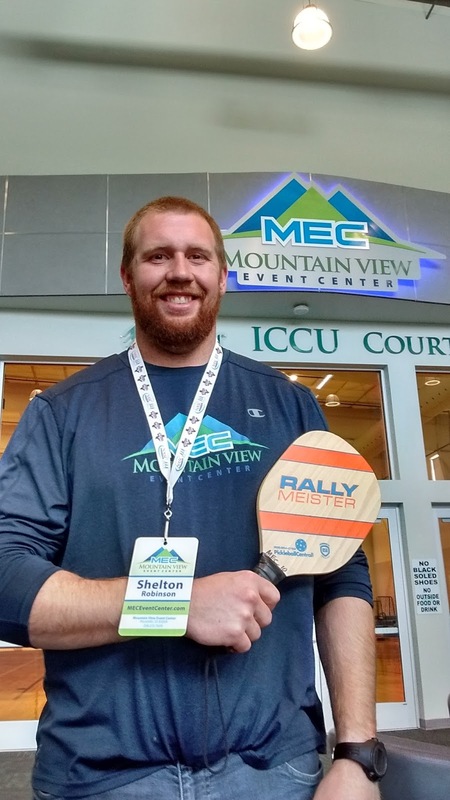 Enjoy, Shelton"
Here's how the Pocatello Pickleball Palooza (P3) came into existence amd how it relates to Susun's hand surgery. On the way from Arizona to our Idahome we stopped at the Idaho Hand Institute in Pocatello to schedule an appointment even before we arrived in Idaho Falls. Prior to the appointment later in May, we researched pickleball in Pocatello and learned of a new venue that opened January 13, 2016, called The Mountain View Event Center. 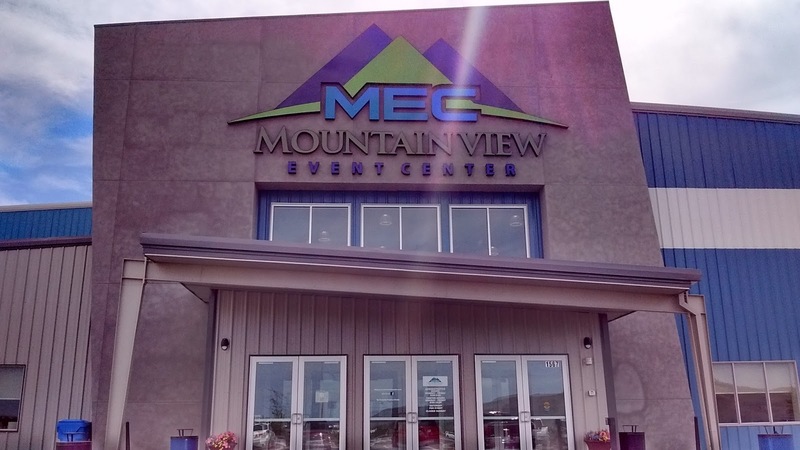 This huge edifice was financed by a voter-approved bed tax and was built and is managed by the Chubbuck-Pocatello Auditorium District, a government entity. Meanwhile, we began an email dialog with the Operations Manager, Shelton Robinson. We played pickleball there before Susun's appointment with her hand surgeon to determine when her surgery would be scheduled in early June. The day her surgery took place involved quite a bit of waiting time for me—roughly 5 or 6 hours. Anyway, I decided to go meet Shelton in person. We hit it right off and spent most of that afternoon talking about pickleball possibilities. That's when I told Shelton that he needed to stage a tournament this summer, even though time was really too short to do it “right & proper”. 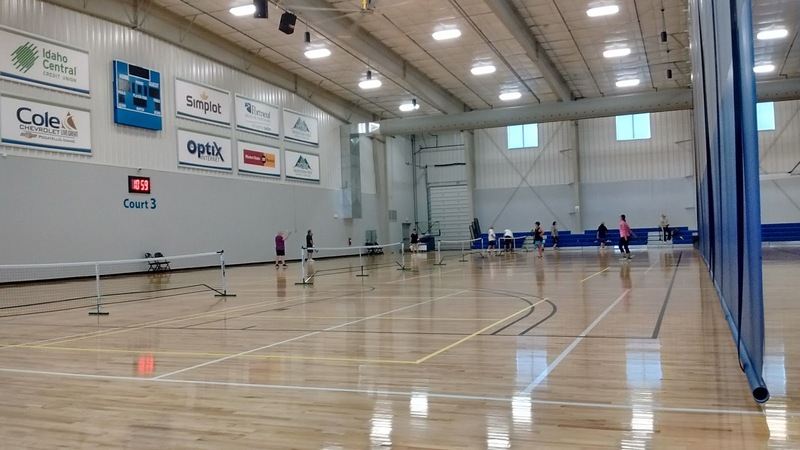 The thinking behind this idea was that there were open summer dates on the national and regional pickleball tournament calendars. If he could somehow manage to stage a tournament, then he could lock in that particular date in perpetuity and have a jump start on doing a tournament “right & proper” in 2018 and years beyond. Shelton was “all in” on that idea and asked me to help him figure out how to organize a tournament. One thing led to another. First, I set up a blog to help archive our communications and also to facilitate Shelton's sharing with his administrative associates at the Auditorium District. We worked feverishly to pick a viable date and a “catchy” name. The August 5 date was magically still open on both national and regional tournament calendars. Although there is no true way to know scientifically, we both figured August 5 is the peak of the summer tourism season. We reasoned that in future years, a large portion of participants would be tourists passing through on the way to Yellowstone or the Tetons or points farther north...or returning home from a vacation. Meanwhile the “catchy” name turned into quite the process. 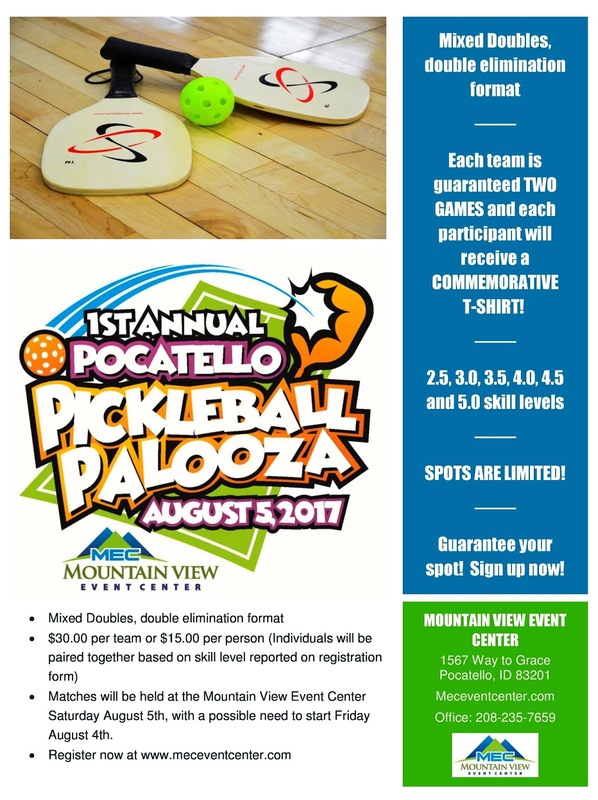 We eventually settled on Pocatello Pickleball Palooza and Shelton's Auditorium Board liked the name and approved its usage. Shelton quickly hired a graphic artist to do a logo and also a website guru to put together the registration page and payment portal. Everything came together so quickly it was amazing. Then we both began promoting the tournament every which way we could think to do. We swapped at least one email practically every day and sometimes many more. Shelton was emailing me for advice and help most every day of this Road Trip. Whenever I could find a decent cell signal, we pulled over so I could reply to Shelton. Even though we obviously couldn't attend the tournament, I was Shelton's partner and “right hand man” from start right up to the day before the event. There were 46 registrants for the tournament and Shelton was very pleased. If the event didn't quite break even, that was OK with Shelton because of getting tournament experience, locking in the August 5 date and getting a jump start on 2018 and beyond. And so, now you know the rest of the story. If Susun hadn't had her hand surgery, I would have never had time or inclination to rally up Shelton to do a tournament. Interesting how things work out sometimes.